School is back in session and summer is coming to an end, but that doesn’t stop us from cooking up a feast with friends and family. And these hot and spicy fried chicken sandwiches are at the top of my favorites list. Served along side some fresh watermelon, grilled corn, lemonade for the kids and cold beers for the adults. Summer perfection! For this recipe I partnered up with Colman’s Mustard using both their dry mustard (which is a pantry staple) and their prepared mustard that has a nice kick to it. 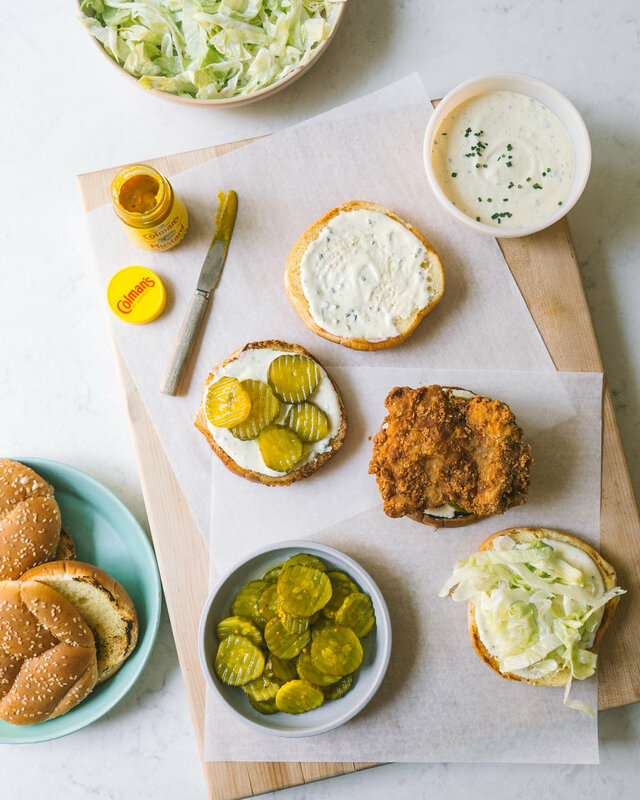 This classic fried chicken sandwich now has a real punch to it with adding Colman’s Mustard. Click here to save on their products. sides. Place in the refrigerator for 2 hours uncovered. pepper. Taste and add salt. Place in the refrigerator while prepping chicken. dipping remaining chicken. Place chicken back into refrigerator to chill uncovered. minutes. Transfer to a wire rack covered in paper towels, and fry the remaining two chickens. more mustard and hot sauce! This post was sponsored by Colman’s Mustard. Thank you for supporting my partnership.